The 3D BioTK organs were generated from image processing of diagnostic and photograph sections of a corpse. Superimpose sections and use them to cut 3D organs. 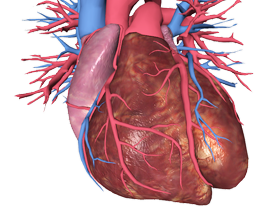 Identify organs in a realistic combined 2D 3D workspace. The scenes, pins and descriptions can be edited and shared. Share your customized information Biotk with colleagues, patients and students. BioTK is a Virtual Learning Object that easily integrates E-learning platforms. BioTK is the 3D anatomy atlas generated from sections of a cadaveric specimen. BioTK is accurate and easy to use, using BioTK you can also share customized information with colleagues, patients and students. BioTK is compatible with virtually all platforms, including e-learning. This way with BioTK you can make dissections of the human body from your computer or mobile device. The BioTK´s organs are accurate because they were generated from the image processing of cadaver sections. BioTK is ideal for professionals, teachers, students and faculty in the area of ​​health. BioTk not only improves the study of anatomy but also facilitates the exchange of information between colleagues, professionals, students and patients. Enjoy realism, accuracy and 3D interaction BioTK offers for free. Enjoy not only the realism, accuracy and 3D interaction BioTK offers but also all the advanced features of BioTK. Superimpose full color sections in all three directions, do the same with CT and MRI. Edit the contents, pins and views and share them with your community in BioTK. Install BioTK on your desktop computer or laptop. Enjoy all the advanced features of this product very efficiently. Superimpose full color sections in all three directions, do the same with CT and MRI. Edit the contents, pins and views. Compatible with Windows, Linux and MacOS. All BioTK´s features in your hands. Edit the contents, pins and scenes. Synchronize BioTK app with Web Premium and Local Premium versions. Compatible with Android, iOS and Windows phone. Ideal for institutions of higher education offering courses both, locally or remotely. BioTK Web Institutional has tools for managing students, groups and subgroups and audit reports. BioTK is a Virtual Learning Object that can be used independently or integrated with E-learning platforms such as Moodle and Black Board. All the features of BioTK in an immersive 3D classroom. Compatible with Windows and Mac OS.